Global car sharing market path toward success in the next few years will be driven by reduction in transportation costs. As per the American Association of Automobiles, the average yearly costs of owning and operating vehicles is approximately USD 8,698. Car sharing service has the potential to considerably decrease the commuting costs for the travelers. As per the Transportation Sustainability Research Center, per month transportation savings on a round trip based car sharing in the U.S. ranges from USD 154 to USD 435 for sharing members. Moreover, car sharing eradicates the costs and need for owning a car along with worries such as arranging & reimbursing parking spaces and availing the insurance coverage, thereby further propelling the popularity of car sharing industry. What are the growth prospects of the round trip based car sharing market? The round trip business model is anticipated to witness massive adoption on account of lower costs for covering longer distances as the fares are calculated on the grounds of distance traveled. The sharing model permits a user to hire and return a shared car at the same pooling station that is supported by a personal access card or mobile application. Burgeoning awareness about the environmental benefits of ride sharing services, such as decrease in carbon emissions, would further fast-track the adoption of round trip car sharing services as we move forward. How are regulatory bodies contributing to the market expansion? The stringent regulatory landscape enforced by regional governments pertaining to greenhouse gas emissions would add significant impetus to car sharing market growth over the future. 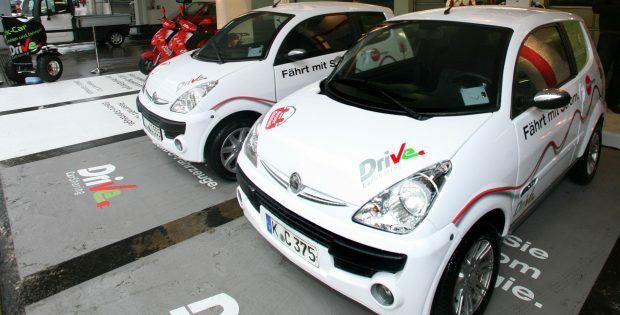 Lately for example, the German government has undertaken an initiative to promote the adoption of car sharing services by sanctioning a draft bill to enhance the installation of infrastructure for the rapid development of these services. Global governments are positively favoring the espousal of these services as they have the potential to reduce the environmental threats generated by the transportation sector. How is the U.S. car sharing market expected to perform in the coming years? The U.S. car sharing market is anticipated to grow at a decent pace owing to the incentives announced by the federal government to promote the adoption of these services. Also, various states in the nation have enforced tax regulations and legislation as well as enticing incentives for corporations offering these services. For example, the state of Washington has publicized the taxation credits of up to USD 60 per year per employee to the companies that introduce these services. Which key players are operating in the car sharing market? The global car sharing market is endowed with a vast competitive landscape, including notable players like Hour Car, Lyft, Inc., Locomute (Pty) Ltd., Carrotshare, Ekar Fz LLC, and Orix Corporation. These market majors are practicing strategies such as acquisitions, innovation, and partnerships to strengthen their footprint in the market. In a recent turn of events, Daimler AG and Toyota Motor Corp. have reportedly declared plans to enter the Paris car sharing market, following Renault SA which has already ventured into the French capital.